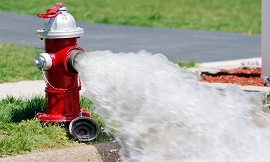 Hixson Utility has an annual maintenance program that involves flushing water mains and hydrants throughout the district. This program will be ongoing for the next couple of months, beginning in mid-February. You may see our crews around the district performing this work. Click "Read More" for additional information. Hixson Utility has just released its 2019 Consumer Confidence Report. Included in this report is news from HUD commissioners, our latest Water Quality Report, and even a contest that gives customers a chance to win $100! View today by clicking the "Read More" link above, or look for a copy of the CCR with your next bill. A leak in your home can be quite costly. If you're a Hixson Utility customer, make sure you are protected when toilets run or pipes start gushing. New customers are automatically enrolled in our ServLine program, and existing customers are enrolled unless you have chosen to opt out. Click "Read More" for more info and what to do if you have a higher than normal water bill. As the Hixson area continues to grow, Hixson Utility District is ready to meet this demand. Projects such as electronic meter replacements, upgrades to our main and service lines, and offering leak insurance to our customers will all help us to better serve you. Visit our Projects page for more information. 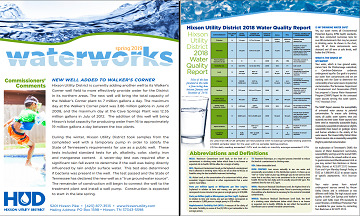 Hixson Utility District is committed to offering our customers quality water and service. There are times when unexpected problems do occur. Have you noticed our crews on your street? Have you experienced an interruption in your service? There may be an issue in your area. Check our Twitter feed for updates or give us a call if you have any questions. Thinking about moving to the Hixson area, and wanting information on how to set up your water service? 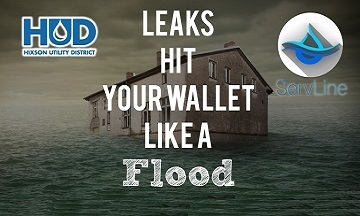 Is your bill higher than expected, and you are wondering if you may have a leak? Want to know what to do if your bill is due on a weekend? Visit our Frequently Asked Questions page for these answers and more. Want to know how your water bill is calculated? Do you need to set up a new service, and want to know how much it will cost? Click here for our water rates, or click here for a list of our fees. Hixson's main source of water is an aquifer at Cave Springs with additional wells at our Walker's Corner facility. Our office is conveniently located at 5201 Hixson Pike. We are at the intersection of Hixson Pike and Austin Road, near Northgate Mall.